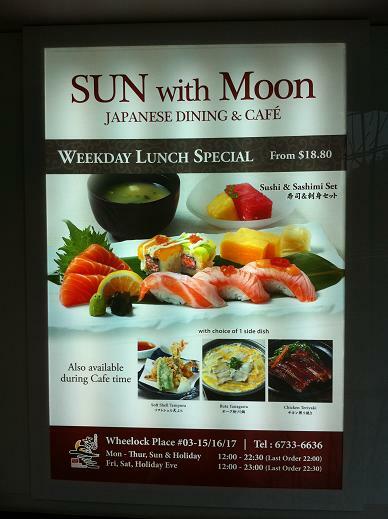 I've been to Sun with Moon with my colleagues at Wheelock Place twice. It is a middle-range Japanese Dining and Cafe. So far, the Sushi and Sashimi Set remains my favorite as I don't normally eat anything too heavy at lunchtime. 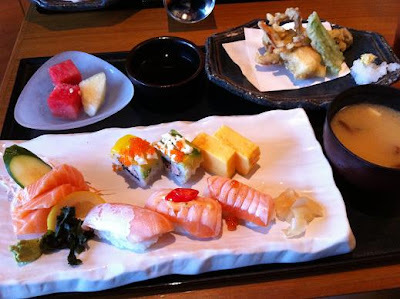 The set comes with a soup, fruit and a side dish of your choice; Soft Shell Tempura, Buta Yanagawa or Chicken Teriyaki. oh wow...love the yummy and lovely treats!